Mean Renko indicator is determined for alternate price charting. Unlike the usual time frame chart - where every candle represents a fixed time interval - the goal is to ignore time and to display price movement using bricks with equal size. 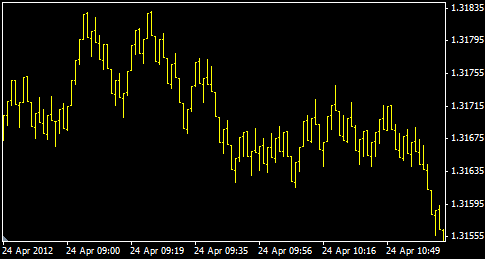 Indicator adds Mean Renko charting ability to your Metatrader MT4 terminal. There may be multiple Mean Renko generators attached to your single chart. When the indicator starts it restores a set of historical bricks from historical data stored in the Metatrader history. Then it paints live charts using live ticks.